Yesterday, I let you know that I created a Pinterest account! I also added a "Pin It" button to the bottom of my blog posts so that if you wish to pin a post, it is easy. Just click the button and pin away! I have a longstanding relationship with Musselman's and have reviewed their products many times on The Nutritionist Reviews. My favorite products are any of the unsweetened applesauces because they taste great and are low in calories. They pair well with a string cheese or a small handful of nuts for a snack. In September 2011, I had also gone to Pennsylvania to visit the Musselman facilities and learned all about how their products are made. I was surprised to learn how eco-friendly they are! Musselman's is an awesome company that makes great products. I was recently sent some snack packs of Musselman's applesauce along with an awesome exercise ball with the Musselman's logo on it. The focus of this campaign is "Replacement Resolution" which focuses on the different ways that applesauce can be used to save calories, sugar, sodium, fat, etc. compared to other foods. -I used Musselman's applesauce in my black bean brownies which cut fat and calories. -I also used Musselman's applesauce in these Among Friends cookies. -Applesauce makes a great pancake topper instead of syrup. Using 1/4 cup of Musselman's natural applesauce instead of average syrup saves you 185 calories and 28 grams sugar! The applesauce only contains 25 calories and 4 grams of sugar per 1/4 cup serving. It also adds 2 grams of fiber to your meal! 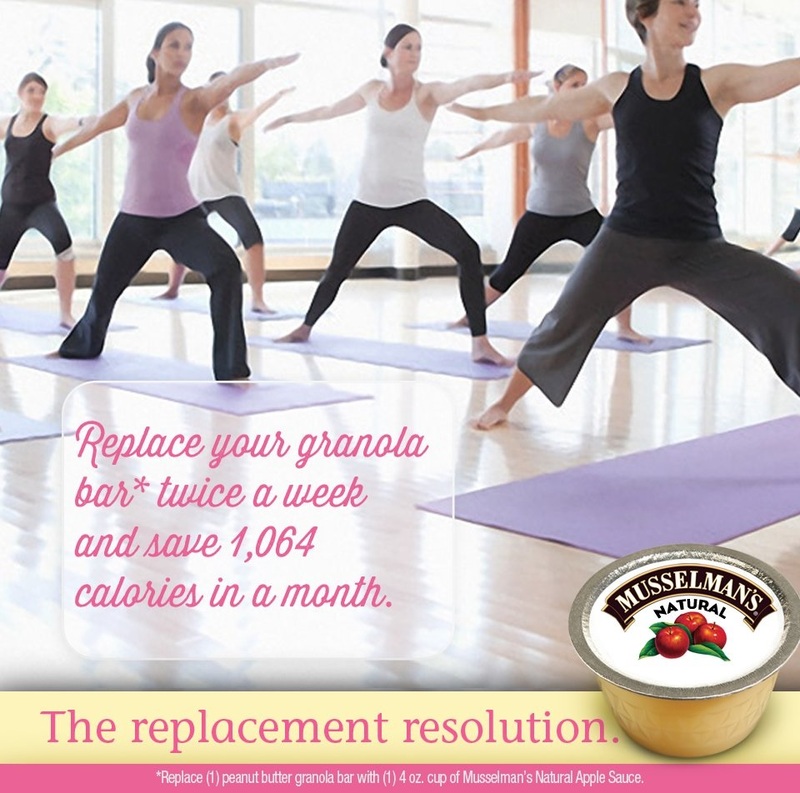 The giveaway will be for 3-6 packs of Musselman's applesauce and yoga ball.